Tacoma Boys describes itself as “like a treasure hunt of good things you won’t find in big box stores.” We almost always find something unusual there, but this week interesting produce was abundant. Here are three examples. According to the folks at Specialty Produce, the Hachiya persimmon, also known as Beekeeper, is one of more than 200 known species of persimmons. When fully ripe, the skins of Hachiya persimmons are a deep orange, and the flesh is an even deeper orange. The fruit is very sweet. Hachiya persimmons are available in winter. They are one of the most widely cultivated persimmon varieties in California. 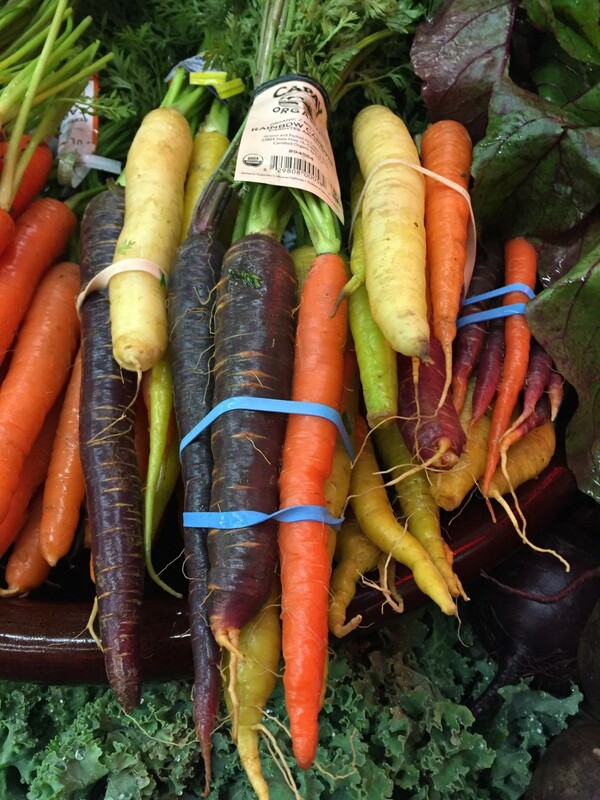 While not as exotic as the Hachiya persimmons, this bunch of carrots caught my eye. I had seen purple carrots a few times before, but I had never seen this variety of colors assembled into a bunch. Aren’t they pretty? This was the most unusual find of all. The peak season for Buddha’s Hand is late fall to early winter. The plant developed within the lower Himalayan mountains and was introduced into California in the late 19th century. However, it did not begin to demonstrate commercial success until the late 20th and early 21st centuries. 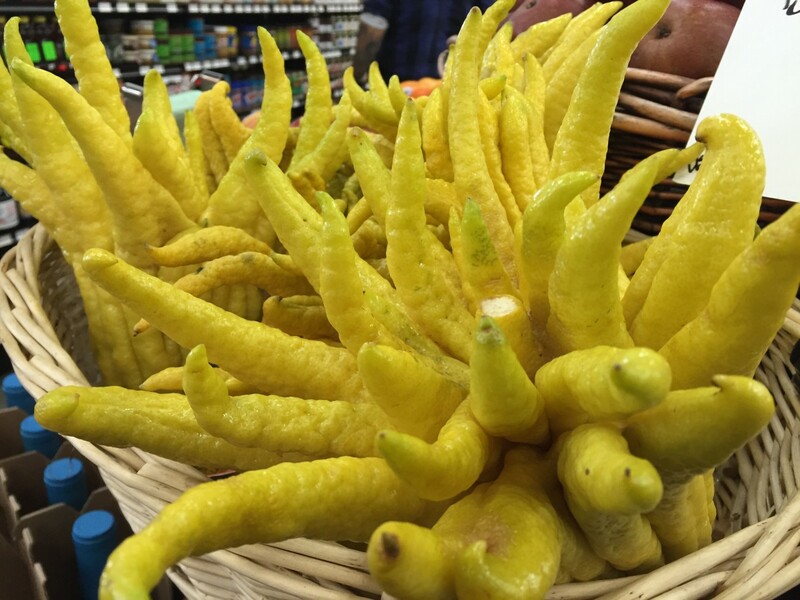 An article in Smithsonian Magazine, appropriately titled What the Heck Do I Do With a Buddha’s Hand?, gives a short history of the fruit and offers several suggestions for how to use this “creepy lemon hand.” The suggestions include links to recipes. Until next week, I wish you all a huge does of awesomeness in your lives.